Welcome to Brandon's Landscape Management Inc.! Brandon's Landscape Management Inc. has been serving the Waterville Maine area with high quality landscaping services since 2003. We currently provide over 100 residential and commercial clients with high quality landscape maintenance. Our mission is to continue to provide exceptional landscaping services to our current clients along with obtaining new ones and providing them with the same outstanding service. 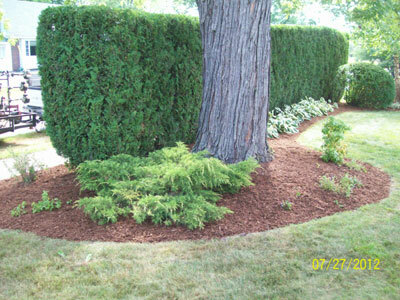 Why Hire Brandon's Landscape Management Inc.? No expensive equipment to maintain. Allows you to have more free time. What can you expect from Brandon's Landscape Management Inc.? The visual beauty of your well-maintained property. An enjoyable atmosphere outside your home. An atmosphere that reflects positively on the owner.